Switzerland and chocolate are a match made in heaven. Recommendations, we have. From the behind the scenes look at chocolate production to a fantasy world that reminds of Willy Wonka, there are a number of fun chocolate factories in Switzerland. While some offer self guided tours, others have knowledgeable staff on site who will show you the ropes. And in most cases, there is a factory store attached where chocolate is sold at a discount. Have you ever tasted a roasted cocoa bean? Have you ever watched a robot packaging chocolate? And do you know how it is processed to turn it into a chocolate bar? The Frey Chocolate Factory in Buchs near Aarau provides all the answers and experiences. At this location, there is not only a discovery tour and chocolate bar decorating workshop, but also a proper chocolate factory. In fact, Frey produces chocolate bars for global outlets such as Tesco as well as local Swiss players like Migros. The Frey Chocolate Factory is open Tuesdays through Sundays from 10 AM to 5 PM. 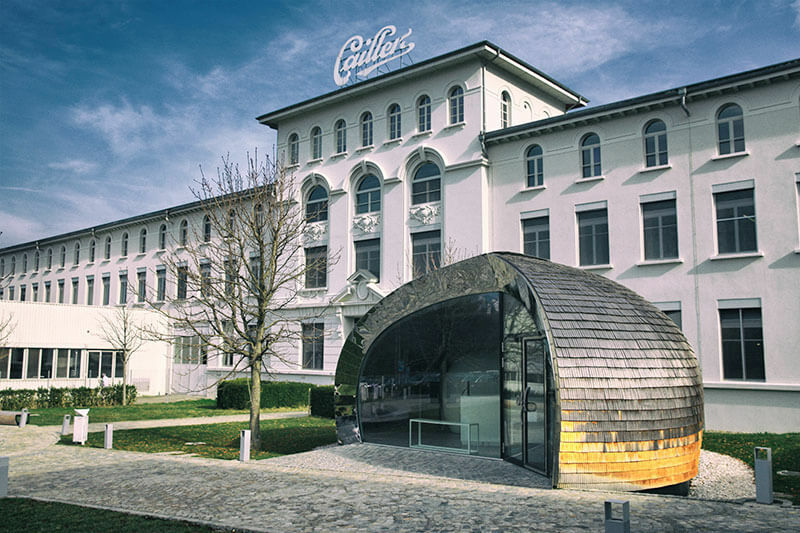 Nestled between Fribourg and Montreux is Maison Cailler, a chocolate factory and museum like out of a picture book. At the museum, the tour starts with an interactive multimedia show on the history of Swiss chocolate. The exhibit also talks about the ingredients for chocolate production, such as sugar, cocoa beans, cocoa powder, nuts, coffee and others. A real-world production line shows the process from molten chocolate to the packaged bars we can buy at supermarkets – or the attached factory shop. 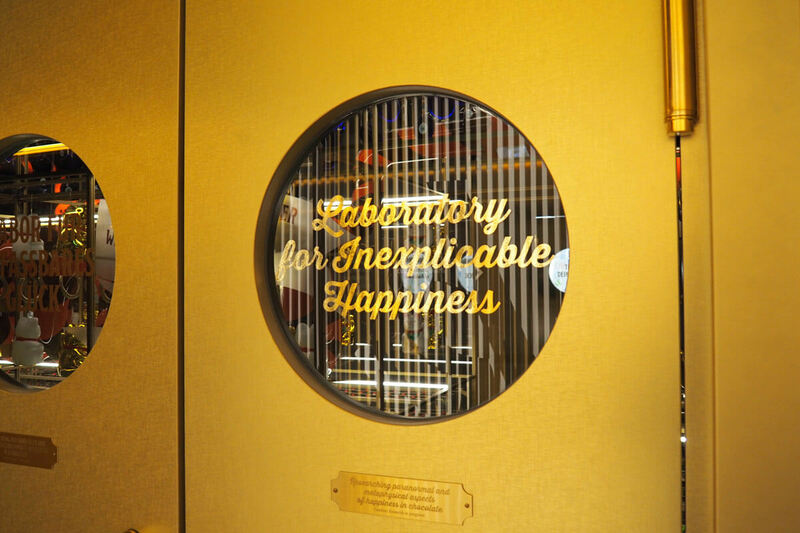 But anyone who has ever visited Maison Cailler will tell you that their favorite part was the section where you can smell and taste as much chocolate as your heart desires… Maison Cailler is open daily. Hazelnut lovers are surely familiar with Ragusa and Torino, two of the flagship chocolate bars produced by Camille Bloch. At the new CHEZ Camille Bloch exhibit, they will learn a little known fact about these favorites, namely that they are the result of a cocoa shortage during the Second World War. At the site in Courtelary, there is a production facility as well as a chocolate discovery tour where you can learn about the secrets behind Ragusa and Torino. As a bonus, you may engrave a special message onto a Ragusa bar! And needless to say, there will be plenty of opportunities along the way to tease your taste buds. CHEZ Camille Bloch is open daily (except Mondays) from 10 AM to 5 PM. Suchard may not be top of mind when it comes to Swiss chocolate brands. But for one lifelong resident of Neuchâtel, the sweet childhood memories of the Suchard chocolate factory were reason enough to open a museum and workshop. 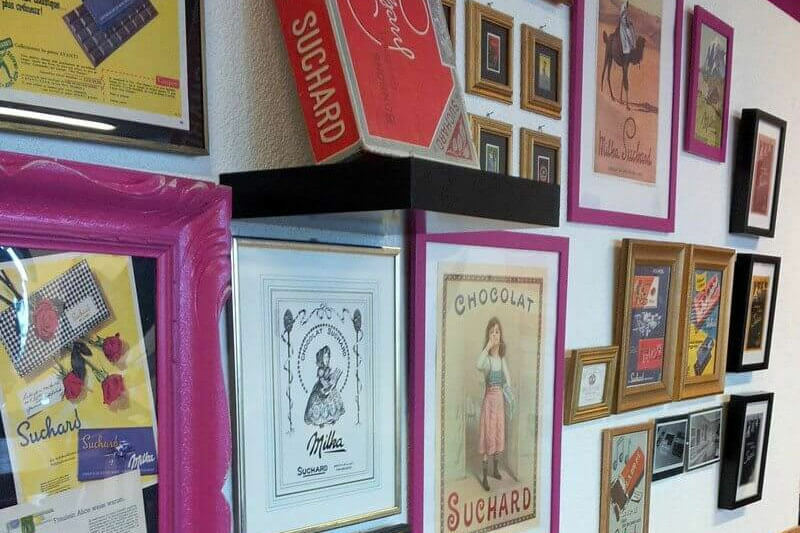 While the original chocolate factory in Neuchâtel-Serrières is no longer churning out Suchard products, Mrs. Vallana has found a way to keep the spirit alive. So at Choco emotionS in Neuchâtel, Mrs. Vallana hosts various workshops and tasting sessions. These include wine pairings or hands-on workshops to create lollipops or chocolate molds. Have you ever caught yourself gazing into a Läderach shop? They have this captivating way of breaking and stacking their thin artisanal chocolate… If your answer is yes, the Läderach Chocolate Experience will be perfect for you. The chocolate discovery path leads from the rain forest all the way to a tasting section, educating visitors about the origin of cocoa beans and the production of fine Läderach chocolate along the way. This is where all the magic is happening, and visitors are allowed to peek inside the production facility. From quality control of incoming cocoa beans to the packaging of the final product, many steps along the mysterious process of chocolate making can be witnessed firsthand. 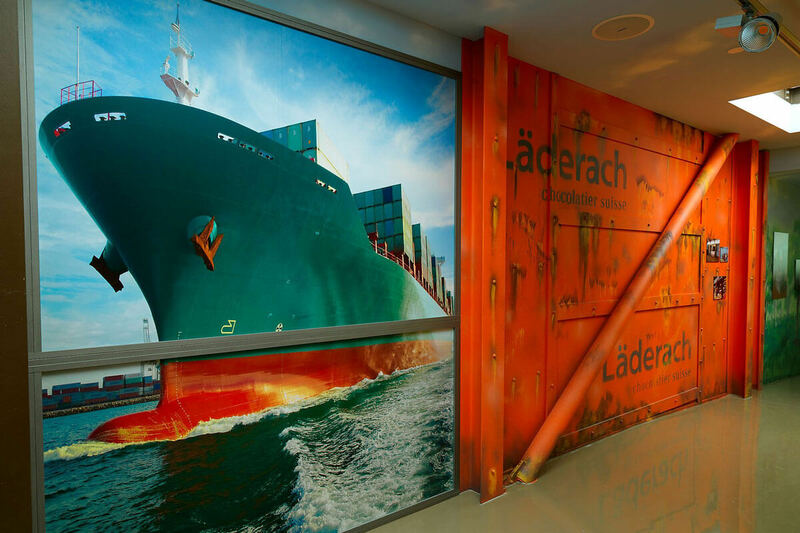 Consult the Läderach website ahead of your visit in order to schedule a guided tour in English. Have you ever seen those commercials where chocolate makers in white aprons and chef hats pour liquid chocolate into praline molds? 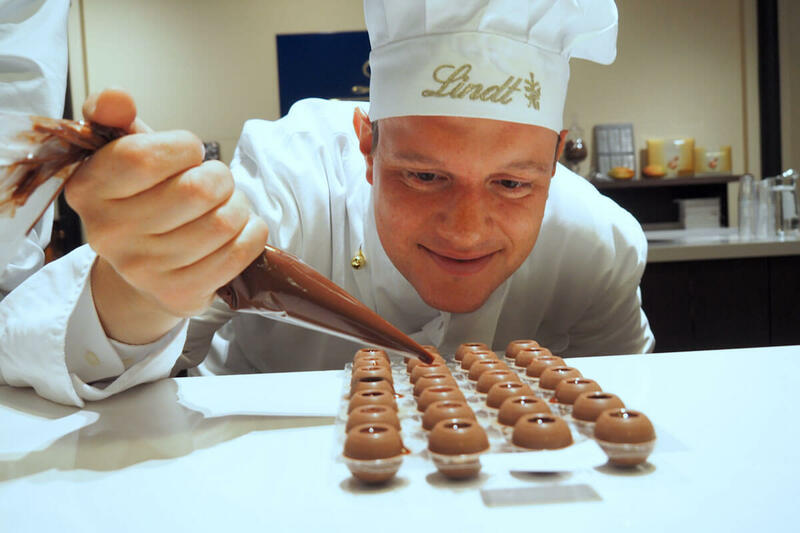 At the Lindt & Sprüngli Chocolate Factory near Zürich, the chocolate maker could be you! 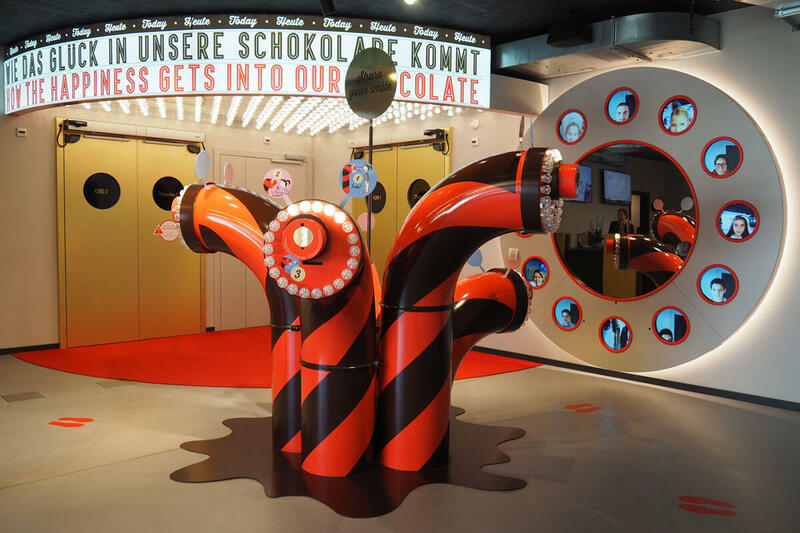 We have previously stepped behind the heavy doors of this real-life chocolate factory. And as part of the chocolate workshop, an instructor taught us how to create our very own pralines to take home. Read more about our experience or have a look at the time when Rio participated in the Lindt & Sprüngli chocolate workshop. The Chocolarium near St. Gallen is a showcase for Maestrani, best known for their Minor chocolate sticks. It is no understatement to say that this chocolate factory comes with all the bells and whistles. For one, there is a chocolate discovery tour through a maze of colorful rooms where visitors chase the answer to the exhibit’s central question: How does luck get into chocolate? Towards the end of the self-guided tour, there is a chocolate workshop in a funky factory environment, allowing visitors to decorate and subsequently cool their very own chocolate bar. And those who visit the Chocolarium on a weekday will be able to watch the factory floor from a bird’s-eye view while snacking on delicious little Minor bars. In order to picture all of this, read about our experience visiting the Chocolarium. 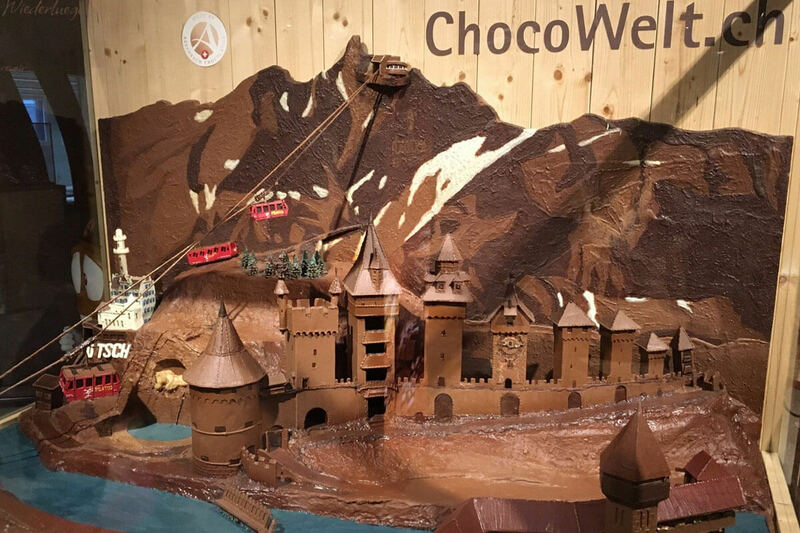 There is a world of chocolate conveniently located between Lucerne and Zug: ChocoWelt. 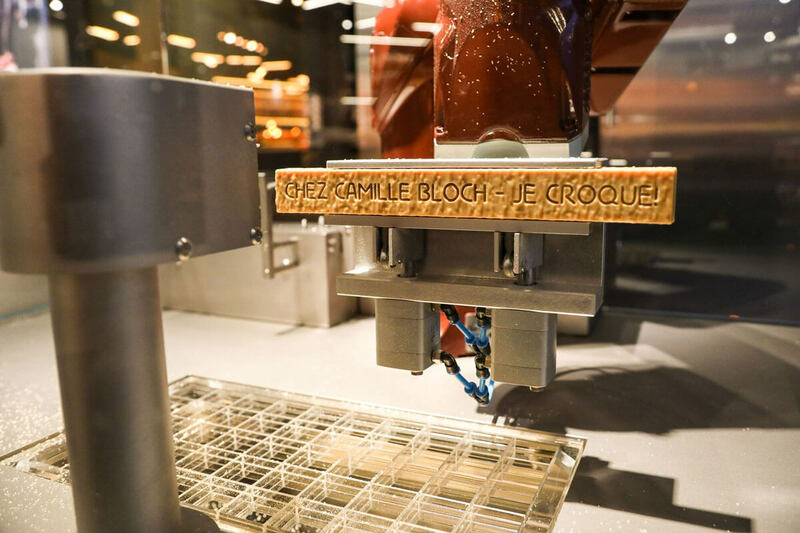 An interactive museum brings visitors up to speed with chocolate production, but the real magic happens in the area where one can peek onto the factory floor. Depending on the season of your visit, you may spot employees painting Easter bunnies or Santa Clauses. Did you know that Aeschbach Chocolatier are the exclusive producers of chocolate coins in Switzerland? At ChocoWelt, there is even a possibility for you to customize your own coin and decorate your own chocolate bar. ChocoWelt is open daily from 10 AM to 5 PM. We’ve met the people behind the Doodle scheduling tool More myths about Switzerland – debunked!